OLD PARKED CARS. 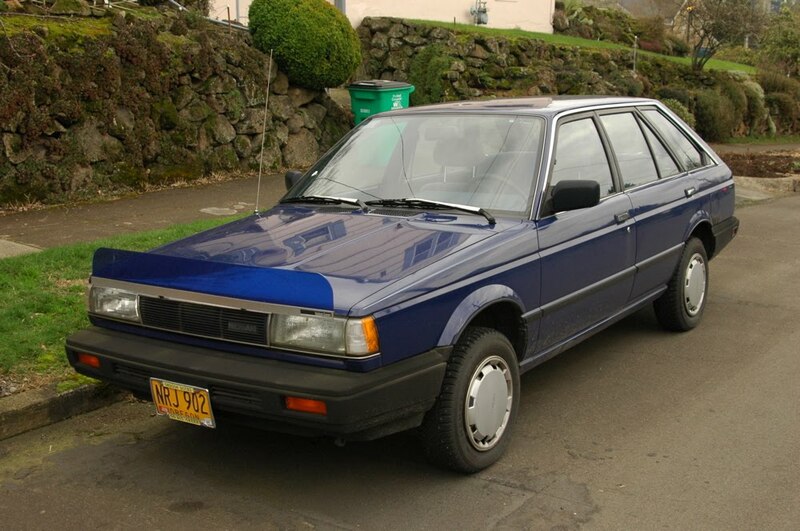 : 1987 Nissan Sentra 4wd XE. 1987 Nissan Sentra 4wd XE. Completely mild mannered, yet somehow totally badass. Drabbest hub caps I can imagine, and the fact that I've never heard of one makes me think there is hardly any level of fun possible. 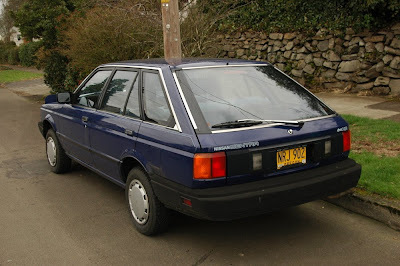 But you know in Australia, dudes are swapping all kinds of engines into cars like these and having a blast. I love that color. Hard to tell if I'd be embarrassed to drive one or not. i've had that thread bookmarked for three months and finally checked it out today. wonderful. thanks for the link, mike. I have one of these. Funnest car i ever drove. The 4wd lets me have tons of fun at the beach. Mine is in almost perfect condition, minus a smashed rear quarter panel. 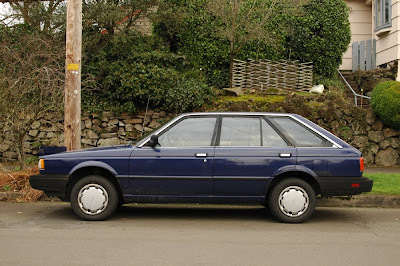 I found your blog because is's one of the only sites that features my car, but I'v got a couple good curbside pics. Can users submit?